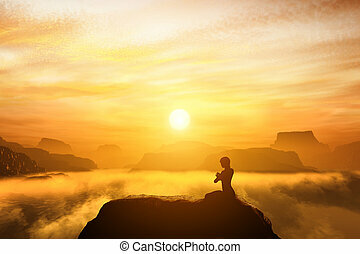 Sunrise meditation. 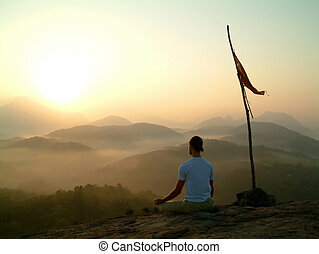 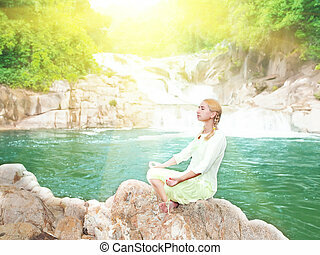 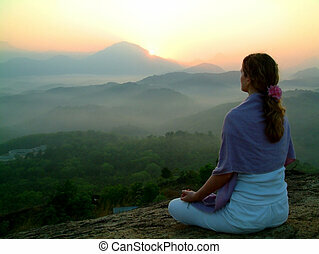 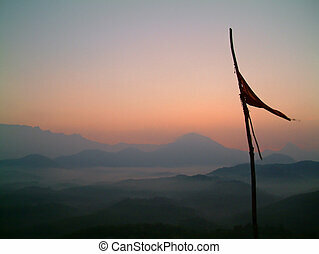 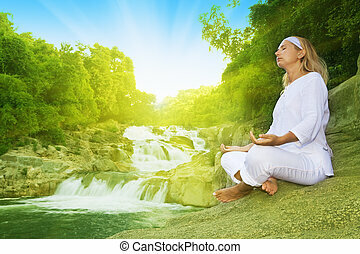 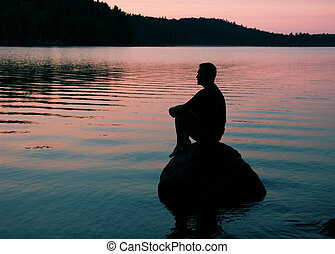 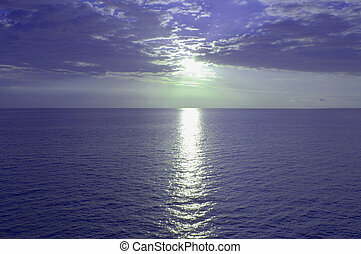 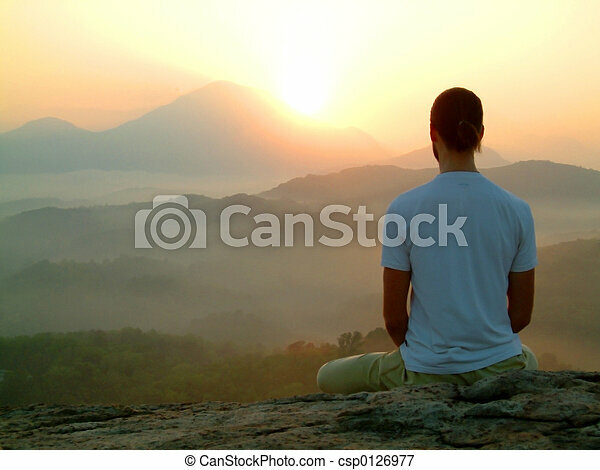 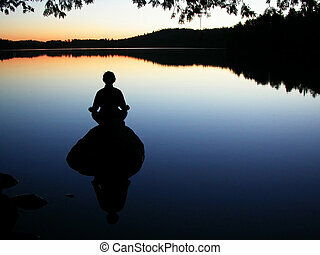 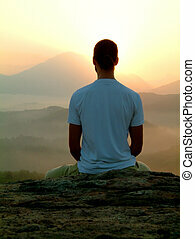 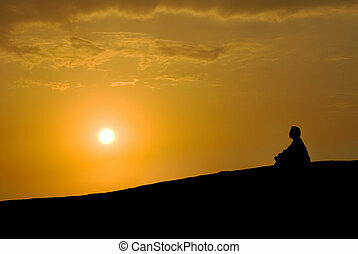 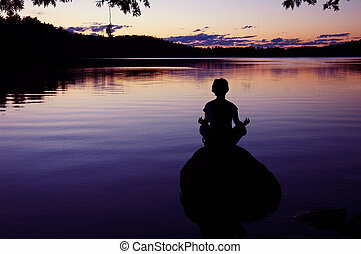 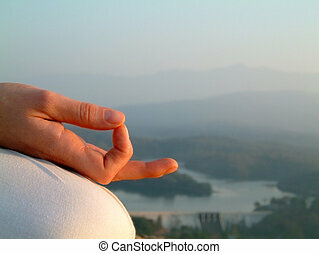 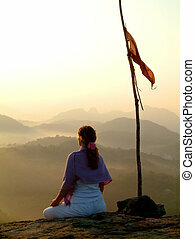 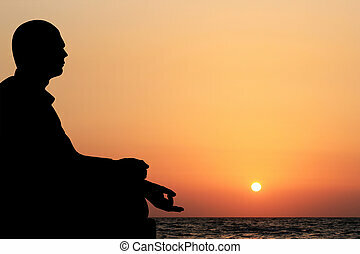 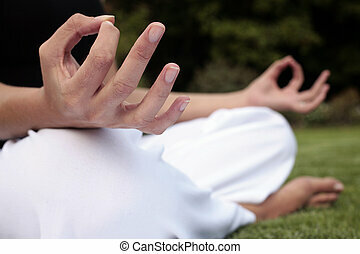 Man meditating during sunrise. 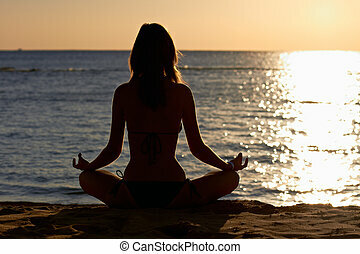 A sportive beautiful woman training yoga on the beach at dawn. 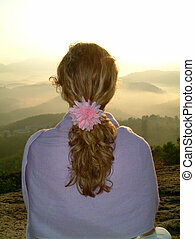 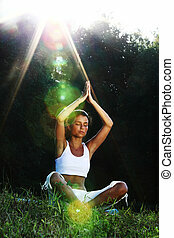 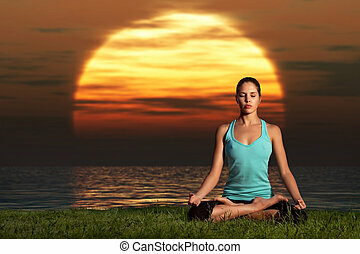 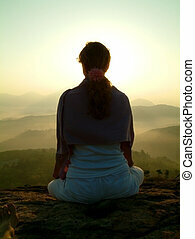 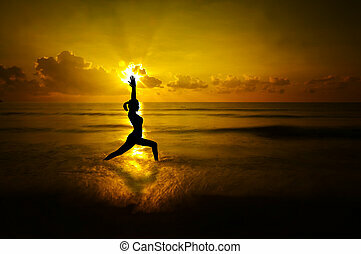 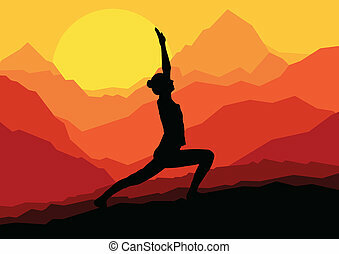 Silhouette of female doing yoga meditation during sunrise with natural golden sunlight at beach.